An organisation known as Lithium Urban Technologies has decided to contribute in reducing the pollution in Bangalore by launching an all electric car fleet service. It is not common to see an electric car being used in the fleets used by the corporate sector. But the norm has been changed by Lithium Urban Technologies by introducing an all electric car fleet service in the city of Bangalore. 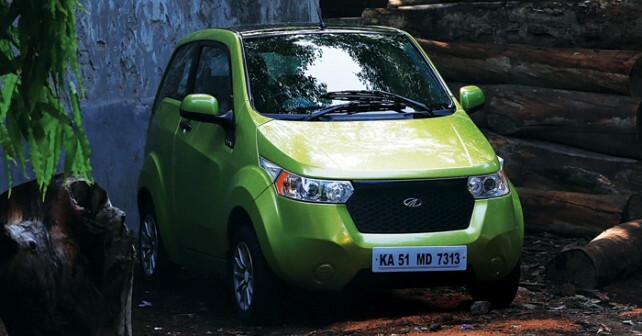 According to the latest developments, the company will use Mahindra e2o cars in its fleet services that cater to organisations in the ever-evolving city of Bangalore. In a span of two months time the company will increase the number of electric cars to 100 from 10, and to 400 cars before the end of its first year of existence. Commenting on the development, Mr. Sanjay Krishnan, Founder of Lithium Urban Technologies said, “Macroeconomics of the cab industry and clean fuel can go hand in hand. If I transport 1,000 people a day, then I clock 10 million km a year. This saves me 2.5 to 3 tonnes of carbon footprint per person per year. This cuts fuel costs by a huge margin. Pollution is not just a worry. Fuel is 50% of the variable cost of transportation; consumption will have to go up by nine times if India were to step up from a middle-income nation to a high-income one.” Unlike other players in the cab market, Lithium Urban Technologies will own all these cars and will pay salaries to the drivers of these cars. Also, the cab service will be cloud based which simply means that the only thing the driver has to do is to drive. He/she will have nothing to do with the car, its maintenance, booking, charging etc. The company will also set up dozens of charging stations across the city for a smoother mobility. A faster set up will be installed at the client’s end where the fleet will be operated from. At the initial level, the service will be offered only to corporates for their personal use. Depending on the success of this initiative, decision will be taken if it’s good enough to be deployed in other aspects of life.